The Tobago Cays are part of the Grenadines, in the Windward Islands, the wildest and probably most spectacular Caribbean islands. They are a must in a travel itinerary here. In fact, the Tobago Cays are a protected area made of few uninhabited islets and the fifty shades of blue of the sea in between. 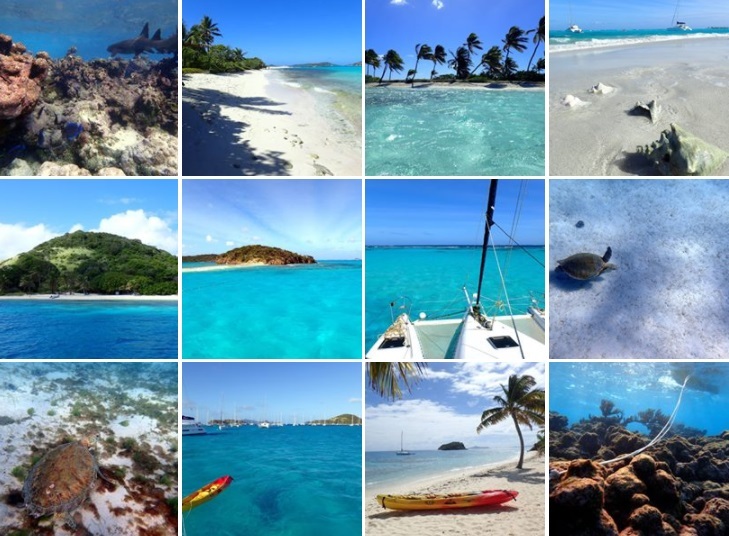 We visited the Tobago Cays on a sailing boat as most tourists do. There's a lot of room to moor on white sand, and there are also some buoys. There may be many boats, but even during the Christmas holidays we didn't feel it was too crowded. As an alternative, you can go to the Tobago Cays as part of an organized tour. (For map, itinerary and general info click here: travelling in the Caribbeans). The Horse Shoe Reef protects four islands. Petit Rameau boasts a beautiful white beach with palms. On one side there are also some tables where they serve fish and lobsters. If this is not enough, you can walk among cactuses up to the top of the small hill at the center of the island: from here you have a fantastic view over the Tobago Cays Marine Park. You'll take some of the most beautiful photos of your trip. Baradal island is small, with a strange sandy peninsula, around which many turtles and some travellers are always swimming. Jamesby island is just a little more than a rock with a beautiful beach that may be used as the base to go kite-surfing (between this island and the coral reef, the passage of bigger boats is not allowed, and kitesurfers may enjoy the place). Usually you go from one island to the other of the Tobago Cays with the dinghy of your sailing boat; even better it is to travel by kayak. This islet is often deserted and boasts one of the most beautiful beaches not only of the Tobago Cays but of the whole travel itinerary in the Grenadines. Palms and crystal clear water of all the shades of blue are a perfect postcard view. Around all of the islands mentioned above, snorkeling is amazing. Turtles, corals and fish are easily spotted, the water is crystal clear and the sea-bed is not deep. The best snorkeling is probably on the Horse Shoe Reef. Unfortunately the corals are not as colourful as they were in the past, but they are still beautiful. The kayak or the dinghy allow visiting different parts of the coral reef. While snorkeling on the coral reefs of the Tobago Cays you may meet a ray or a peaceful shark. Then go visit the pages with info dedicated to travel itineraries in the Caribbean, to sailing in the Caribbean and to the kayaking trips in these amazing islands. 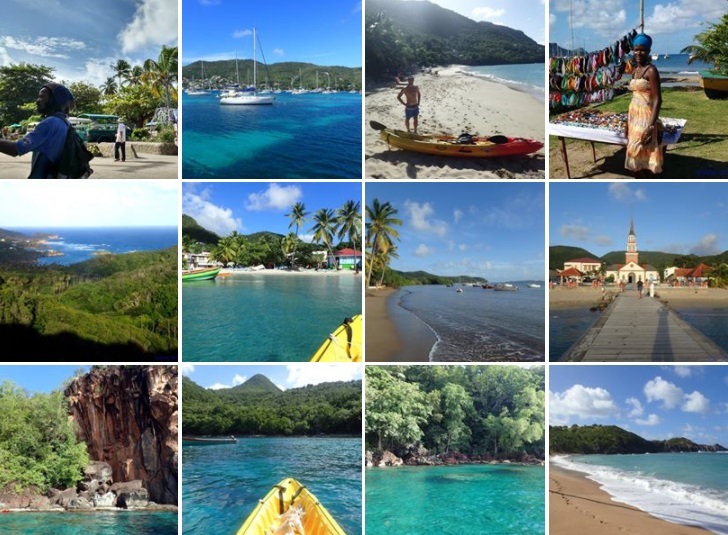 You can also get specific info about Martinique, Saint Lucia, Saint Vincent and the Grenadines.